Are you okay? No, really, are you? If you’re one of the millions who have been marching, organizing, tirelessly contacting your lawmakers and insisting on having your voice heard, working hard with other activists to bridge the misunderstandings that divide us, trying not to throw your fork at your less tolerant loved ones at the dinner table, and so on, I’m going to go out on a limb and say that you’re pretty tired. And, just maybe, not taking the best care of yourself. I know, I know—it can seem impossible to think of ourselves at a time like this, what with so many top-priority issues hanging in the balance. But it is imperative that we do just that. Activists need to aggressively practice self-care in order not to burn out. We are needed in this dark hour, it’s true—and what’s just as true is that we are useless to ourselves and others if we don’t put ourselves first. I will spare you the overused metaphors about oxygen masks and the gentle reminders to take walks and drink tea—and get right to the good stuff. Here are some ways to keep your head above water when it feels like the tide is rushing in. A Postcard Party for Hudson Valley Feminists in January 2017. Bear with me here, because I know we’re all a bit tired of the word “mindfulness” being thrown around. Well, I’m not referring to the soulless, dead-eyed version intended to boost your productivity that you may have learned at last year’s company picnic. I am talking about the kind where you drop into yourself. I’m talking about making space to recognize when you have been living mostly in your own head, which is very busy planning, regretting, worrying, fretting—dragging you into the past and catapulting you into the future. Take a moment (or preferably, several moments several times each day) and just be with your breath. Notice what it feels like to draw air into your lungs, at this very moment in time, in this very place. Notice what’s coming up for you. Are you hungry? Tired? Sad? Excited? Determined? Whatever it is, be with it. When you’re ready, you will do something about it if there is a need to. But, for now, it’s okay to just be. That whole mindfulness thing? It’s going to come in handy for this next tip. The next time it feels like someone is attempting to bait you into a fight (by saying, I don’t know, that climate change is a hoax invented by the Chinese), take a breath. Ask yourself, “Self, how am I feeling today? Do I have the mental and spiritual reserves to go once more unto the breach?” If the answer is no, then for the love of all that is holy, do not pass go. Pull back the troops, damn you, and live to fight another day! If the answer is yes, great—but you’re not done yet. Follow up with, “Self, is this individual worth my time,” and/or “How likely am I to make an impact by engaging with this person?” Is the individual in question a) a concerned and engaged fellow citizen at a county legislature meeting who is treating you with respect, b) a faceless Internet commenter who more than likely lives under a bridge made of pick-up artist manuals, or c) your dad? Depending on which one and what your energy level is like that day, I argue that your responses can and should differ accordingly. We all know technology takes a toll on us, but somehow we generally allow ourselves to avoid doing anything about it. The hard truth is, technology is overloading our arousal systems in a huge way. We can only respond to so many breaking news stories and crisis calls to action before our eyes glaze over and we begin to feel like all is lost, what’s the use, etc. etc. It is imperative for our mental health that we get some distance from screens in general, and social media in particular. I find that the best way to do this is to set a small, manageable goal and stick to it. Can you institute tech-free Sundays, or a social media ban at work or after 8:00 p.m.? Can you buy a digital clock (remember those?) and keep your phone out of your bedroom at night? When we allow ourselves time to disconnect, we are more present in our lives—and we have the added bonus of returning to the online world ready to connect, learn, and share in a productive way. Which, you know, beats scrolling slack-jawed and dead-eyed through the same 20 depressing posts an hour past our bedtime. The Women’s March Over the Hudson, January 2017. Speaking of depressing, in our current social and political climate, it feels like there are about a million causes knocking at our doors. While they’re all important, they are not all equally important to everyone—and that’s okay. Most of us have one or two causes that are our babies—the ones we feel the most passionate about and most willing to fight for. Whether it’s protecting the EPA, advocating for Planned Parenthood, or fighting for racial justice—we’ve got to be honest with ourselves about where we each need to put our efforts, and sometimes we need to be ruthless in our discernment. If we allow ourselves to disconnect a bit from causes we simply do not have the required passion for, we will have that much more passion for the ones we do. So, we can ask ourselves: How many meetings/rallies/protests did I commit myself to this month? Do I feel passionately about all of them? How many of these facebook pages am I really engaged with? Can I unfollow some and maybe follow a few others that more closely relate to my preferred cause/s? The author, right, attending a rally in New Paltz in February 2017. Photo courtesy of Poughkeepsie Journal. Have you found your people yet? I’m not talking about your online people, although they’re important too. I’m talking about real, living, breathing like-minded human beings who know the struggle. Ideally, these people live close enough to us that we can get together with them once or twice a month and have a good, solid hang. 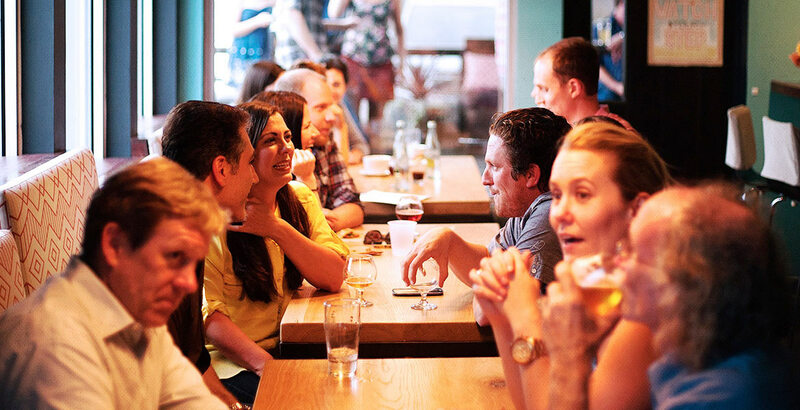 Have coffee (or beer or whatever you’re into), swap stories, consult with and hold space for one another. If you don’t yet have these folks in your life, try engaging a bit more with people you meet at events for your preferred causes, or, for the more introverted among us—yes, it’s fine to meet them online (as long as you turn them into face-to-face friends at some point!). If you do have a strong network of fellow activists in your life, you may want ask yourself if you’ve been seeing enough of them. Did I say ammunition? I may have gotten a little out-of-hand with the war metaphors. Another, perhaps more accurate way to say it might be, “Get some new tools.” Perhaps we want to set a goal to debate more mindfully, so we decide to learn a philosophical system of debate like Rapoport’s Rules to help us with that. Maybe we know we have a gap in our knowledge about climate change that always trips us up when we discuss it with deniers, so we decide to hop on over to NASA’s website and learn a few handy facts. Making time to replenish our stores of knowledge can help us strengthen our resolve and feel our most confident. I recommend this tip for the days when we are feeling strong and positive. If we feel we can do so genuinely, with an open heart, we can experience profound healing by reaching out to folks who we may have relegated to “other” status. Of course, we need to exercise caution here—as we talked about in Tip 2, not all battles can be fought and not all people are deserving of our precious energy. But, with that said, if we can identify a safe, respectful person in our world who is worth the effort, we can engage that person in dialogue with questions like, “Can you tell me how you came to feel that way?” Note: This is useless unless it can be delivered without condescension, with respect, and with a genuine, honest-to-goodness curiosity about our fellow human beings and their views (you know—the way we want others to approach us). Now, this may lead to a productive discussion that involves the other person asking us to share our views, or it may not. If it doesn’t, our goal should be to accept that, at least for the time being, and practice listening. We’ve all heard the Gandhi quote about being the change we want to see in the world. Sometimes that change is about getting out there and making our voices heard. Other times, it is about piping down, humbling ourselves, and opening up our earholes. Speaking of quotes, as the great Maya Angelou once said, “I don’t trust anyone who doesn’t laugh.” On the days when it feels like all we can do to keep from crying, there is no better medicine than laughter. So, here are some ways to set yourself up for success where that’s concerned. If you can afford it and it’s feasible, check out your local comedy night or club. Infuse your heady, documentary-clogged Netflix queue with a sprinkling of comedy specials. Check a David Sedaris book out of the library. Make Samantha Bee, Stephen Colbert, and John Oliver a part of your regular routine. Check out this list of awesome comics who happen to be women of color. Fill your Twitter feed with the likes of Aparna Nancherla and OhNoSheTwitn’t. It’ll help, I promise. All of it will. Monique has been practicing yoga and meditation since the late ‘90s. She has been a certified yoga teacher since 2009. Monique’s areas of interest include exploring ways in which yoga and meditation can help offset the effects of trauma and anxiety. Monique is a licensed mental health counselor with a private practice in Poughkeepsie, New York. You can learn more about counseling with Monique at moniquedauphin.com. You did it, Monique! You brought fresh thoughts to this well-tread topic. I really enjoyed reading it and I’ve bookmarked it. First rate!